Photo by Samsung / All rights reserved. With an enormous device in every aspect, Samsung Galaxy let the bull loose at the press conference earlier this day. 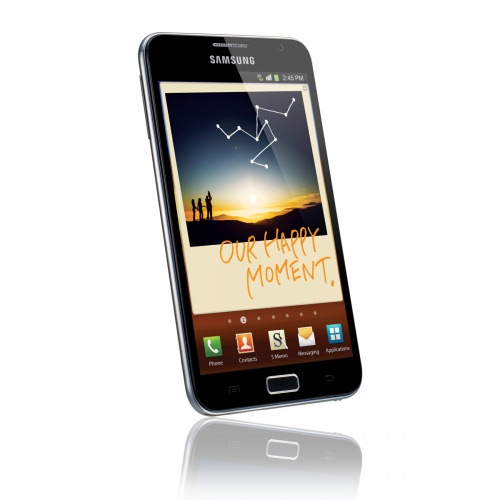 The new device is called Samsung Galaxy Note, and comes with a huge Super AMOLED HD 5.3" screen. This is the first AMOLED that can use 720p. The amazing thing is the return of the stylus in a practical manner. You can use it like a normal Android touchscreen device with your finger in normal operation. But if you want to draw, mark or check something precisely, you can pull out a style from the downside of the phone. Did I say phone? According to Samsung it's more than that. It's a small tablet, a great phone, a notepad and planner. It makes perfect sense, as long as you're okay with carrying a big phone around... or a small tablet. Interesting, it's only 9.65mm thick and 178grams.